Tata Nano is the world’s most affordable car with excellent maneuverability and easy parking capabilities. You never have to search for your Tata Nano in a parking lot. Thanks to its unique colour schemes and tall boy design. This car looks conspicuous amid all plaid colored vehicles. There’s a perception that Nano is less spacious however the reality is this car can comfortably accommodate a small family of five. 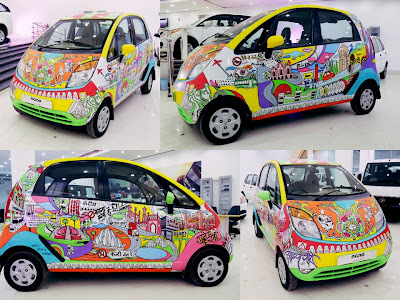 Tata Nano was launched for targeting the largest Indian middle class with an approximate price of 1 Lakh however the previous versions of this car never met the expectations and hype hence Tata Nano came with its facelift versions recently. The new Tata Nano will cost you around 2 Lakh however if you are looking for a great mileage, Nano can be the best bet. 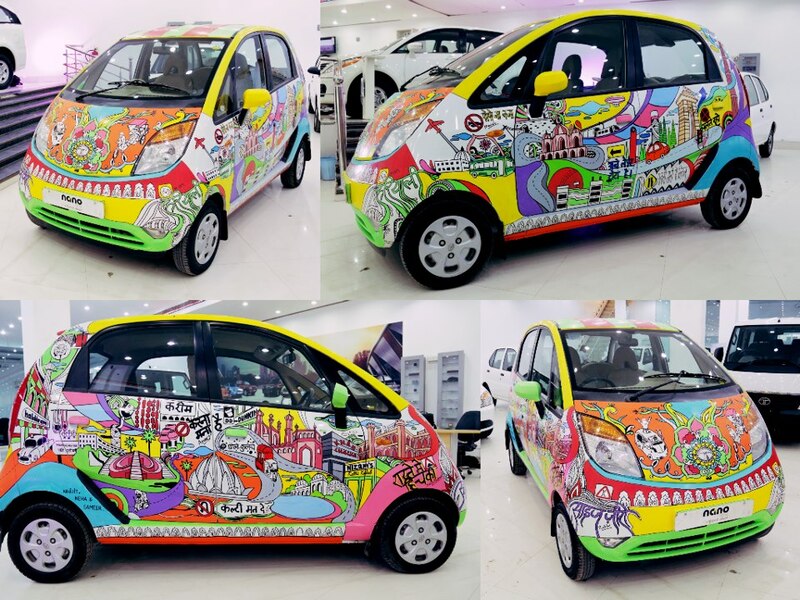 The Tata Nano Art-in-Motion Project is all about expression, design and freshness associated with this car. 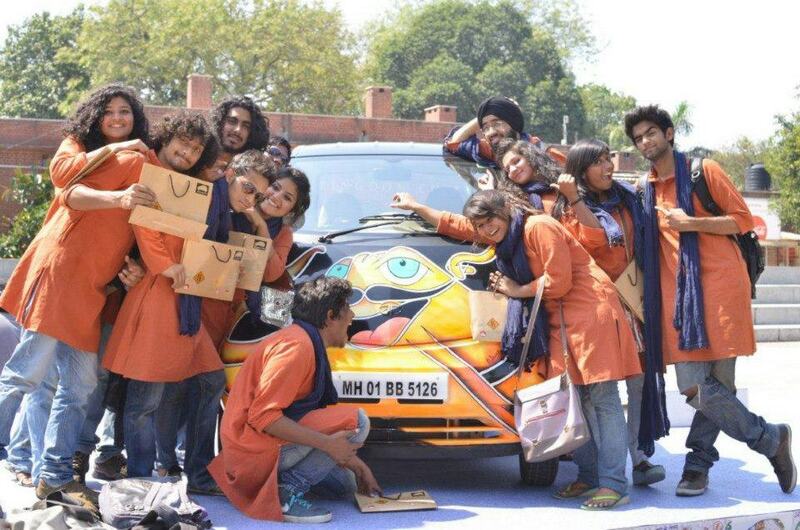 Art-In-Motion project mainly showcases the fun side of this car. 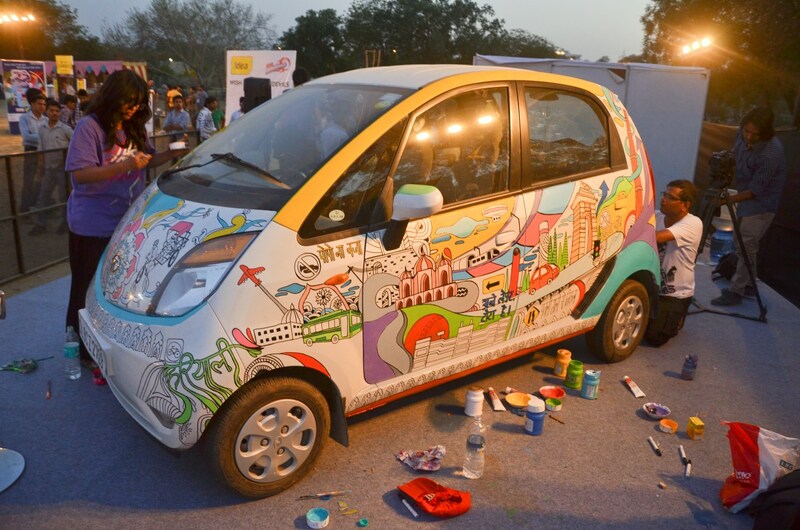 The theme of this year’s Art-in-Motion series is Saddi Dilli, where artists joined hands to create Nano art car at this year Youth Nexus. It’s an event to promote individuality, creativity and expression through art. 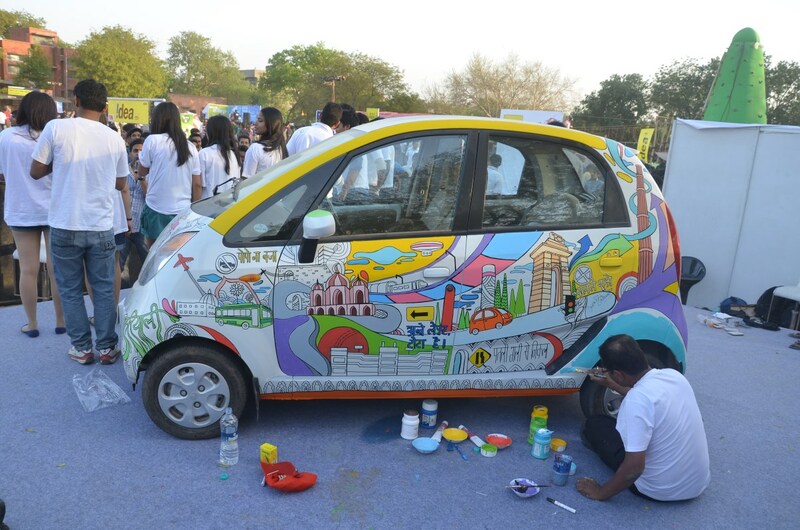 The Saddi Dilli Art-in-Motion project mainly highlights the colourful vibrancy of Delhi. Tata Nano acted as canvas for the artist, where they painted monuments and culture of Delhi. Art is all about freedom of expression, individuality and youth. The main idea behind this collaboration is to enhance Nano’s identity as a fun car. 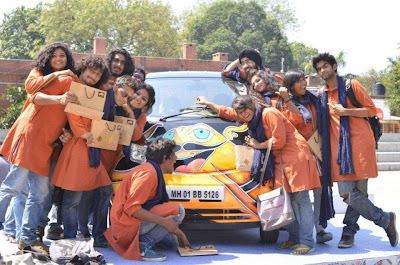 These types of events not only helps acquiring more target audience but also increases brand visibility especially a car which is so economical can easily attract students. It’s cool to drive a Nano, isn’t it?